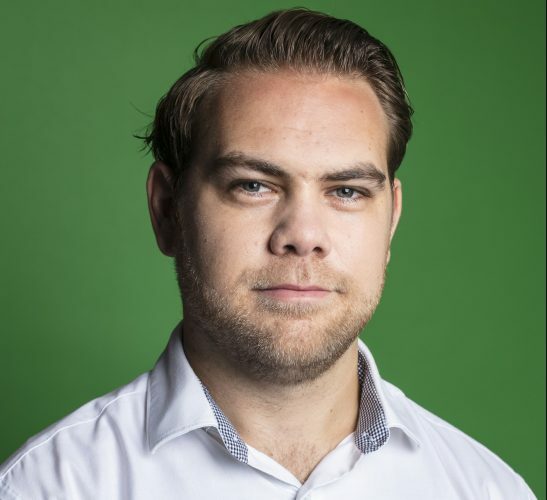 In light of Google’s massive rebrand of its advertising and marketing products recently, iProspect Australia’s general manager of data intelligence, Tom White (pictured below), delivers a pretty handy analysis on the move for anyone dealing with the tech giant on agency or client-side. This week, Google announced a change to its partner program, just two years after the Google Analytics 360 suite revolutionised its Data & Analytics offering. This time, however, they have realised the need to integrate their wider product portfolio and have done so through the launch of the Google Marketing Platform. The Google Marketing Platform brings together the 360 Suite with the different DoubleClick products. But whilst the 360 Suite brought new products into Google’s portfolio, the Google Marketing Platform is more a consolidation under a single umbrella to drive improved product integrations. The biggest change is that we are saying goodbye to DoubleClick. Well, the name anyway. DoubleClick Campaign Manager and DoubleClick Studio, which will now be known as Campaign Manager and Studio respectively. DoubleClick Search becomes Search Ads 360. DoubleClick Bid Manager will be known as Display & Video 360. There is also a slight change to the Google Analytics 360 Suite Home, which now becomes the Platform Home. Whilst product rebranding doesn’t always mean drastic changes, for Google, this announcement does mark a shift in how they and the market see its portfolio. “Of course, changes in technology have meant changes for digital marketers. There’s been an explosion of channels, formats and data. Consumers are also more aware of how they’re being marketed to and how their data is being used – and they want more control. “Google Marketing Platform brings together DoubleClick Digital marketing and the Google Analytics 360 Suite to help you plan, buy, measure and optimise digital media and customer experiences in one place. Of course, Google made a big change in its tracking of customer data and how it is used back in April when it announced the removal of the unique identifiers in its reporting services. Further changes were not unexpected and we look forward to hearing about how the Google Marketing Platform gives consumers enhanced ability to manage how their data is used. From a product point of view, very little should change, at least immediately. Bender said in his post that, “We’ll gradually transition customers to Display & Video 360 as additional features become available,” suggesting that additional improvements could be on the way, but the timeline and detail of these was not mentioned. What they are remains to be seen, but a new service that Google announced alongside the Google Marketing Platform was the launch of a new Integration Center. The Integration Center will offer the ability to pull together audiences from the new Display & Video 360 or Search Ads 360 products directly with Analytics 360, enabling brands to build and activate audiences in their activity. For Analytics 360 customers who are using the integrations available today, it remains to be seen what this change means. What we do know though is that Audience Home also allows brands to integrate third-party tools through the Integration Center, providing a more seamless user experience than is potentially available today. Whilst the full understanding of what these changes mean start to filter through, we should be excited to be on this journey with Google and continue to find new and innovative opportunities to drive performance for clients.